Deputy President of the Republic of South Africa, Mr David Mabuza, today officially inaugurated the MeerKAT radio telescope. After a decade in design and construction, this project of South Africa’s Department of Science and Technology has now begun science operations. 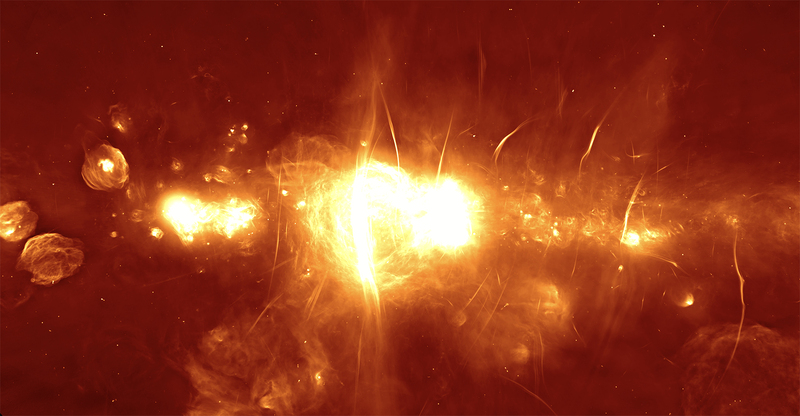 At the launch event, a panorama obtained with the new telescope was unveiled that reveals extraordinary detail in the region surrounding the supermassive black hole at the centre of our Milky Way Galaxy. This is one of several very exciting new views of the Universe already observed by the telescope.